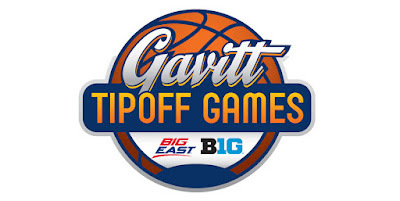 Since its inception in 2015, the Gavitt Tipoff Games have become appointment viewing in the second week of November as schools from the Big East and the Big Ten conferences square off for bragging rights. The first three seasons have yet to see a winner as both conferences have finished with four wins each. The rematch of the 2018 National Championship begins the 2018-19 season for the Michigan Wolverines and the Villanova Wildcats. Villanova will have a new look in the starting lineup as its top four scorers from last season declared for the NBA Draft. Expect the Wildcats to reload as redshirt senior Phil Booth and junior Eric Paschall will be joined by a talented freshman class, but will be tested out of the gate as the Wolverines are led by Charles Matthews. Not a bad way to start the season as both schools look to build new identities. Chris Holtmann’s first season as Ohio State’s coach was supposed to be a rebuilding project, but the rise of Keita Bates-Diop helped accelerate things and led to an at-large bid in the NCAA Tournament. Bates-Diop opted to leave school early for the NBA Draft and the Buckeyes will have to make up for the loss as C.J. Jackson and Kaleb Wesson look to become the primary go-to guys. Greg McDermott’s eleventh hour rejection of the Ohio State coaching job before the start of last season gave Holtmann the opportunity and will be interesting to see how things could go from a coaching perspective. Creighton looks to make up for the losses of Marcus Foster, Khyri Thomas and Toby Hegner to the NBA Draft/graduation. Expect Martin Krampelj to be a focal point of the Bluejay offense in the 2018-19 season as he was third in the Big East in rebounding with 8.1 per game before a torn ACL against Seton Hall on Jan. 17 ended the then-sophomore’s season. Despite having a team made up of underclassmen, Wisconsin should return back to form and Xavier transitions coaches from Chris Mack, who went to Louisville to Travis Steele. The Badgers return the majority of their team after a 19-year streak of NCAA Tournament appearances came to an end last season. Injuries played a big role as D’Mitrik Trice and Kobe King return from injury to complement Ethan Happ and Brad Davison. Xavier could be in for a rebuild as it lost seniors Trevon Bluiett and J.P. Macura to graduation, but return Quentin Goodin, Naji Marshall and Paul Scruggs. 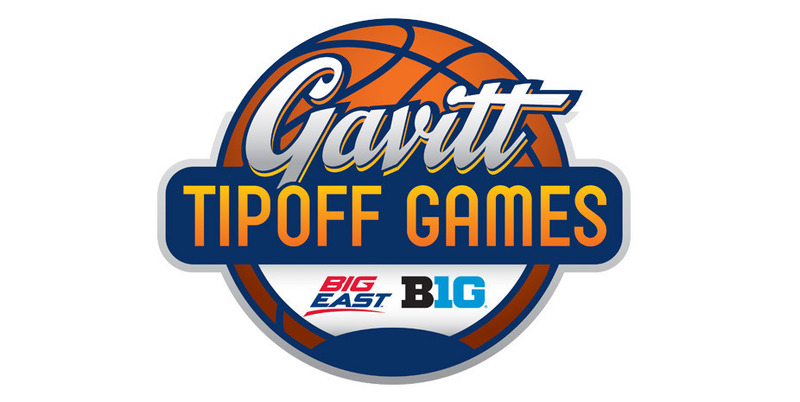 The two met in the Gavitt Tipoff Games last season in Madison, Wisc., as Xavier won 80-70 and will look to do it again at the Cintas Center. Despite failing to make the NCAA Tournament last season and a quarterfinal finish in the NIT, Marquette’s offense expects to maintain its perimeter flare led by junior guard Markus Howard. Howard finished fourth in the Big East with 20.4 points per game last season and leads a veteran core along with Sam Hauser. If their shaky defense can improve, Marquette could become a top contender in the Big East as most of the top tier teams are going through rebuilds in terms of depth. Archie Miller’s first season as Indiana’s coach was a disappointment for most fans as it went 16-15 overall and 9-9 in Big Ten play, but could have a gamechanger in Romeo Langford. An in-state recruit and reigning Mr. Basketball, Langford could make an immediate impact for a Hoosier team looking to get back to winning ways. Not a bad way to start the season with a potential shootout between Howard and Langford. To say the Seton Hall Pirates could take a couple of steps back next season might be an understatement as they lost seniors Angel Delgado, Desi Rodriguez, Khadeen Carrington and Ismael Sanogo to graduation. Even with the losses, Seton Hall returns guard Myles Powell, who averaged 15.5 points per game in the 2017-18 season and will be relied on most nights to carry the load. One can argue that experience is on the side of the Nebraska Cornhuskers after coming up short in their bid to make the NCAA Tournament last season. The Cornhuskers are led by a trio of seniors— James Palmer, Isaac Copeland and Glynn Watson Jr.
Nebraska’s Achilles heel was lack of big wins out of conference in 2017-18 and a victory against Seton Hall could be a key piece in making a case next March for the tournament. This could be the sleeper of the eight games as the defending NIT champion Penn State Nittany Lions take aim at the DePaul Blue Demons in the windy city. Despite the loss of guard Tony Carr to the NBA Draft, the Nittany Lions will look to Lamar Stevens and Mike Watkins as primary options as they look to make their first NCAA Tournament since the 2010-11 season. DePaul could finally have its breakthrough season as Max Strus returns for his senior season. Strus led the Blue Demons in scoring with 16.8 per game, but will need a secondary option. Eli Cain should be able to move back to the shooting guard spot as he played point guard for most of last season due to Devin Gage’s ruptured achilles in his right foot. Gage should be healthy in time for the 2018-19 season and will also have to expand his role with center Marin Maric graduated. With Shamorie Ponds deciding to take his name out of consideration of the NBA Draft, the St. John’s Red Storm could finally have their breakout season after scoring back-to-back wins against Duke and Villanova, which highlighted a 16-17 record last season. Ponds, Marvin Clark and Justin Simon could form one of the best trios in Division I next season and could make their first statement against former Big East foe Rutgers. Rutgers will look to find a replacement for guard Corey Sanders, who left the program to pursue a professional contract. The burden falls on sophomore Geo Baker as he averaged 10.8 points per game last season. Both teams are enduring extensive rebuilds with coaches Patrick Ewing (Georgetown) and Brad Underwood (Illinois) in their second seasons. The Hoyas were competitive in most of their games last season despite a 15-15 record, but returns Jessie Govan, who tested the NBA Draft waters, but did not hire an agent. Govan’s frontcourt mate Marcus Derrickson decided to enter the NBA draft with an agent, which leaves Georgetown with a big gap to fill. Derrickson’s 15.9 points per game will look to be filled by a pair of sophomores— Jahvon Blair and Jamorko Pickett. Despite losing their first eight games in Big Ten play, the Fighting Illini managed to win back-to-back games, but went 4-14 and 14-18 overall. The loss of Leron Black might seem like a daunting task to compensate, but Underwood will look to sophomore guard Trent Frazier, who is the leading returning scorer at 12.5 per game. This matchup will be a good litmus test to see where both programs have developed at and what improvements they need to make.